The Ounila Valley links the Tizi n Tichka pass to Ait Ben Haddou and was originally the main thoroughfare for the trans-saharan trade route between Marrakesh and sub-saharan Africa. Today, evidence of this once highly important role is reflected in the numerous crumbling kasbah’s and ksar which are dotted all throughout the valley. 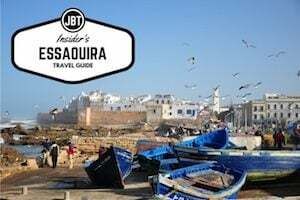 We came to Morocco for adventure, and to dive headfirst into a culture and country unknown to us. Our driver, Mohammed, bespeckled and stoic, doesn’t speak a lot. He’s got both hands on the wheel, planted firmly at 10 and 2 with his eyes steady on the road. At 6,000 feet above sea level, spiraling along what must be our 30th hairpin switchback, I’m really starting to appreciate Mohammed’s businesslike approach. Our kids, four and seven, debate their favorite superpowers, oblivious to our precarious position on the top of the Tizi n’Tichka. Nestled in the Argan biosphere of southern Morocco, Atlas Kasbah Ecolodge offers the first eco-friendly accommodation in the area. This unique resort offers visitors the chance to experience Morocco while maintaining the ecological sustainability of the region. The concept integrates six objectives—water conservation, energy conservation, waste management, purchasing practices, integration with the landscape and environmental education—to achieve a balanced eco-friendly approach. On November 18 and 19, 2011, Tribeca Cinemas will host the second Moroccan Film Festival. 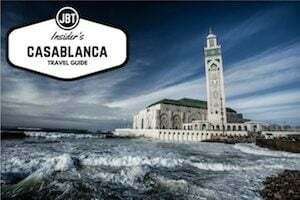 While Morocco has long been utilized by American filmmakers to provide dramatic backdrops for films like Lawrence of Arabia, Gladiator, Rendition and Babel, in recent years the country has developed a strong cinematic tradition all its own. The Moroccan Film Festival gives American audiences a chance to experience this new addition to the world of film, as well as the opportunity to gain a unique perspective on modern Moroccan culture. Trekking in the Mountains of Morocco is, for many, the highlight of a trip to Morocco. The alpine landscape reveals traces of the range’s glacial history (for real! ), and is a far cry from the scrub of the plains or the sands of the nearby Sahara Desert. But while any trip requires planning, a jaunt to the High Atlas necessitates a slightly higher degree of preparation. As with any mountain landscape, temperatures and conditions can change quickly, and available resources will vary wildly between villages and outposts. 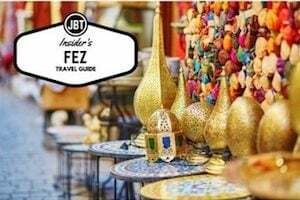 Here, then are a few things to consider as you get ready for a trip to the High Atlas. With five distinct mountain ranges, trekking in Morocco is a year-round activity. From the rugged Rif mountains in the north to the dramatic Anti Atlas that spill out to the southern Souss plains, dozens of routes for hiking and trekking are accessible during whatever season you plan to visit Morocco. Being prepared and planning ahead will help keep you healthy and safe during outdoor pursuits. Not far from the High Atlas Mountains are the mountains of the Jebel Sahro. The starkness of this range belies the beauty found there. Although this area is not as well traveled by trekkers it is well worth the trip. The landscape is awash in mesas with flat tops, deep gorges and pinnacles that have been twisted from volcanic activity. The view includes expansive almond groves and date palms. If you are thinking of visiting Morocco for the trekking opportunities in the High Atlas Mountains, there is no bad time to go. Depending on what type of trek you desire and your physical abilities, you will be able to find a trek at any time of the year. 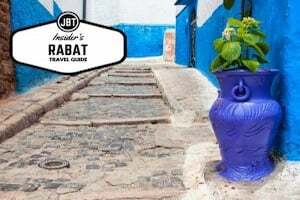 For outdoor enthusiasts who want to experience trekking in Morocco without the crowds—or for those who have been to Morocco before but are looking for new places to explore—look no further than northern Morocco. People travel from around the world to trek Morocco’s Atlas Mountains. The most southern of the country’s ranges is known as the Anti-Atlas, which spans from the Atlantic Ocean in the southwest to Ouarzazate in the north. The Sahara Desert borders the range to the south … a drastic contrast from the towering mountains! 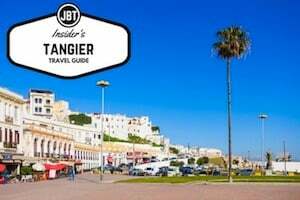 Here, we present a thoughtful piece from Brian Connery as he ventures on an Atlas trek in Morocco. 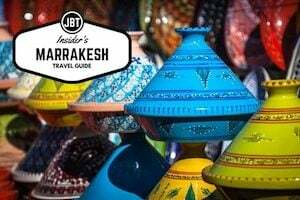 From Imlil to Armed to Setti Fatma, Brian takes you on a quick, yet in-depth adventure of summitting and hiking around Jebel Toubkal in the High Atlas region. Sleep was constantly disturbed with fearful visions of us becoming a magic carpet heading back down the valley. From Imlil to base camp is a five hour trek ascending 1470 meters. Fearing the wrath of the SPCA (society for the prevention of cruelty to Australians), I arranged a mule to carry our heavy backpacks up to base camp. Erecting our tent on a dirty gravel pad in the wind shadow of the massive refuge, we proceeded to secure every anchor point with pegs and boulders. During the night the alpine gusts strained these anchor points and rattled the tent un-relentlessly. Sleep was constantly disturbed with fearful visions of us becoming a magic carpet heading back down the valley. At day break we were woken up by several teams of trekkers heading for the summit. Pressured by this bee-hive of activity, we got our act together and started for the 960 m ascent as well. The Japanese group were the first to encounter altitude problems. Their lead guide yelled down to ” leave the struggling lady with some food and continue”. We yelled back ” your a guide and don’t you ever do that”! Reaching the summit of Jebel Toubkal in the High Atlas Mountains (4167 m – the highest point in North Africa), we shared this joyous occasion with one other couple from France for half an hour before the waves of trekkers arrived. We descended via another col to complete a circuit passing through a boulder field strewn with the wreckage of an old twin engine airplane that crashed many years ago. For the next four days we became the mules as we backpacked eastward into three new valleys. How much it reminded us of Nepal: primitive terraced villages in the valleys, sleeping in “Gites” (guest house), and facing a high pass each day to change valleys. Trekkers here quickly step aside for loaded mules but none stepped aside for mule Doyle or mule Connery. Has our preconcieved image of Morocco been confirmed? It has been surpassed many times over. Now the english speaking world has to come and discover what the French have known for many years! The High Atlas, often referred to as the Morocco’s Atlas Mountains, forms a sort of wall that keeps precipitation localized to certain valleys. The Draa Valley and the Ourika Valley are two regions that receive an ample supply of rainfall annually, which results in strong agricultural-based local populations. The rivers that run through the area are apparent at the surface level especially in spring, but disappear once mid-summer sets. The rivers or wadis continue to supply fresh water to springs and irrigation systems through underground channels. Environmentally speaking, the Moroccan government is attempting to re-establish what the French changed, a system of low water consumption planting. With less rainfall than ever before, farmers are attempting to sustain their land for future generations. Walking or trekking in any regions of the High Atlas is a memorable venture. 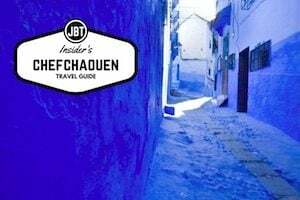 In all the ranges, it is a good idea to take a local guide along with you, especially in areas around Chefchaouen in the Rif Mountains. The central mountain range is a great place to explore if you enjoy forests and the occasional troop of Barbary Macaque or indigenous populations of apes found only in Morocco and in Gibraltar. As mentioned, the High Atlas is divided into three main ridges throughout the country. The Western High Atlas is the most popular for tour companies and tourists alike. The area boasts a 4,167-meter peak that requires trekking in the snow from November through June. While developers talk about the regions plans for tourism, local guides and travel companies offer a variety of services. Some eco tour Morocco companies use low-impact tourism in Morocco in order to maintain the ecosystem and local life of the area. The Central High Atlas continues northward and differs from the above in that it contains gorges, valleys, and canyons. The most popular are the Todra Gorge and Dades Gorge. Rock climbing and trekking are quite popular in these areas. While the area is cooler in the summer due to its altitude, the sparse vegetation reveals the sweltering conditions during the dry season. The Eastern High Atlas contains other peaks that compete with that of Jbel Toubkal. Both Jbel Ayachi and Jbel Saghro offer some amazing hiking, but are dangerous in the early spring months when avalanches are common. Extreme skiers frequent the area in winter in order to enjoy the difficult terrain and splendid views of the surrounding countryside. In this area, the Atlasaurus was discovered, which has given the area some fame. The key discovery provided a missing link between dinosaurs in Africa and the Americas.